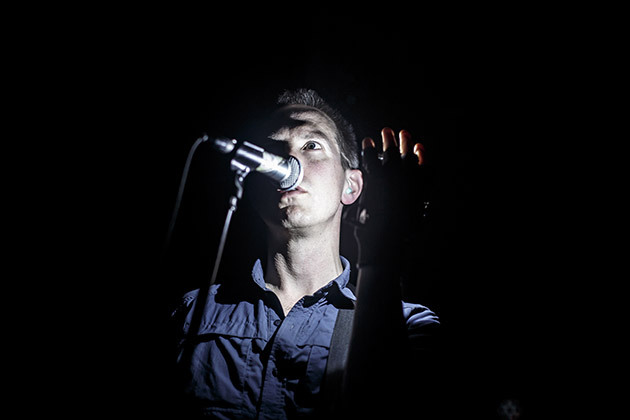 Comment: Shearwater performed this gig on the sixth of February, 2016 at Mercury Lounge NYC which was virtually a promotion act of Jonathan Meiburg-led combo`s brand new one Jet Plane and Oxbow having embraced obvious hints at adverse side effects on nature by the human being`s activity. Indeed, I like the musicians who have been having both responsibility and courage to spit it out despite the so-called political correctness superimposed by some politicians and businessmen with purpose to cover up their own slippery decisions and activities. Musically it is an organic shift between alternative/indie pop/rock, Americana and art rock with some hints toward ambient/drone/electronic music. Of course, Jonathan Meiburg`s sorrowful singing style is a main component within the ensemble`s music and also throughout the gig. The most experimental new song is obviously Stray Light at Clouds Hill where the last mentioned elements are neatly represented for. Additionally, there are represented three compositions from the band`s previous albums and a cover of David Bowie`s Look Back In Anger. Very good.